It is a ”promotional copy” , and apart from an earlier CD, that I got from the same label, it is the only promotional copy that this blog has received so far. For more than fifteen years I did a weekly radio, I wrote several columns about music for magazines, I deejayed, and i did many other things to promote music. All pretty marginal, but nevertheless: I never got one single promo record or CD. Not that I needed them: I was in record stores several times a week and I had enough money to buy what I liked. But I often wondered why I never got on any promo-list of record-labels. Of course, I would have asked to take my name off immedialely if I had discovered that I wás on such a list; I want to be completely independent. The label that released the Happy Elf mini-CD is WM recordings. They do a lot of free releases, and some good ones too, but they also release material that you can buy at their site or at I-Tunes. 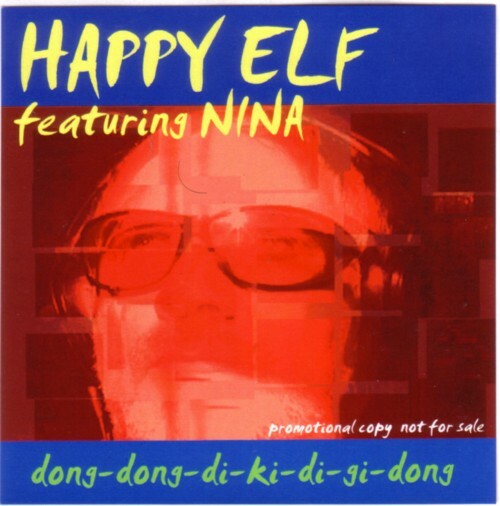 I played the Happy Elf CD a few times today, and I like it so much that I will put at least one song on our next music-for-in-the-car-CD, the next time we rent one. The WM label is run by Marco Kalnenek. WM recordings is a spin off of his popular website”Weirdo Music”:http://www.weirdomusic.com/. I have not written much about that site, because I think that everybody who reads this blog already knows it. If you don’t know Weirdo Music yet, pay the site a visit right away and deprive yourself of a few hours sleep today. Not everybody that I exchanged cassettes with back then had such a taste, dedication and collection that Marco had, but I have received so much tapes from so many people that I would need five extra life’s to describe them in this Soundtrack. I am afraid that this will never gonna happen. Also forget that you will ever going to read what kind of amazing CDr’s I receive: it is all way too much. Here is a random song from one of Marco’s tapes. It is recording from a CD that Marco got for free when he bought a new computer. I have no idea when this was, but is sounds as if it was shortly after the end of WW2. Are there any compilations with all the demonstration tunes that you got with electronic equipment and computers? There must be!